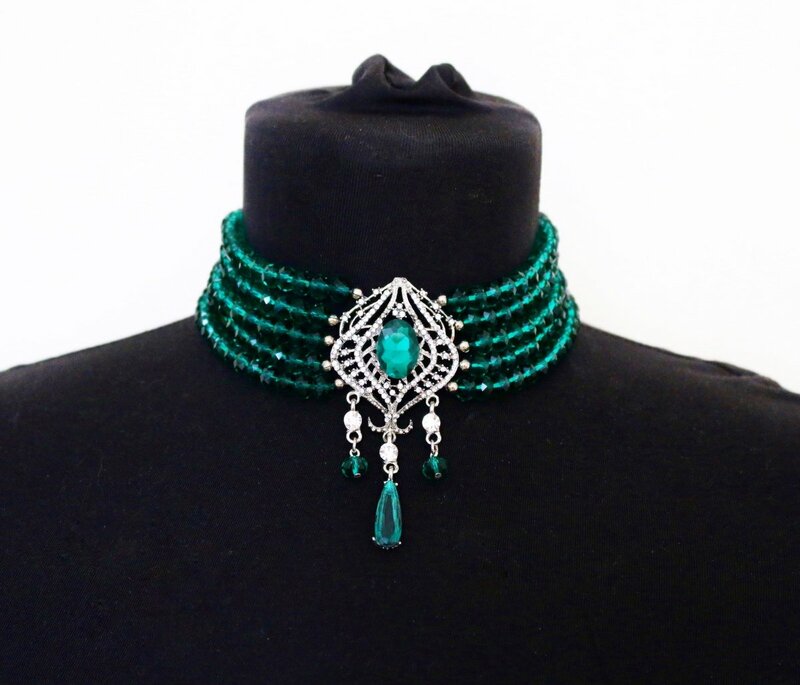 Luxury choker in deep emerald color. 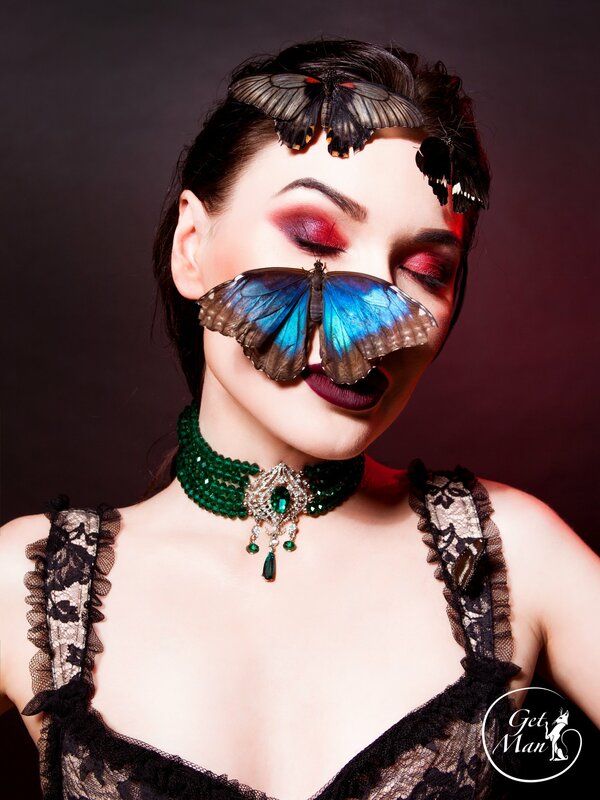 Great and chic choise for party and the brightest events. 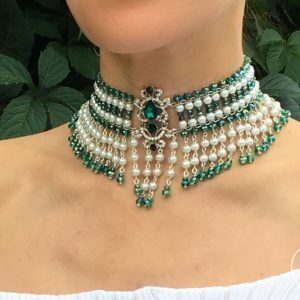 5 rows of emerald beads covers almost the entire neck. 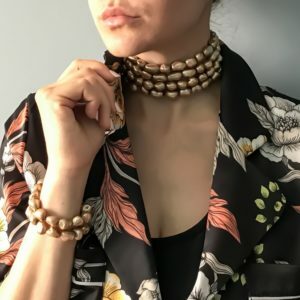 Choker has a clasp on the back of neck/adjustable chain.